Sugar is the main cause of dental decay when bacteria are present. However, the frequency of your sugar consumption is more significant than the amount of sugar you eat. 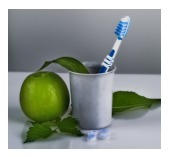 oral health and diet. If you live in or around Kettering, don’t hesitate to call us with your oral health questions.